Grey Bears operates two recycling drop-off facilities: Chanticleer Recycling Center and Buena Vista Landfill Recycling Center. Click the links in the menu at left for a list of items we accept at each site. 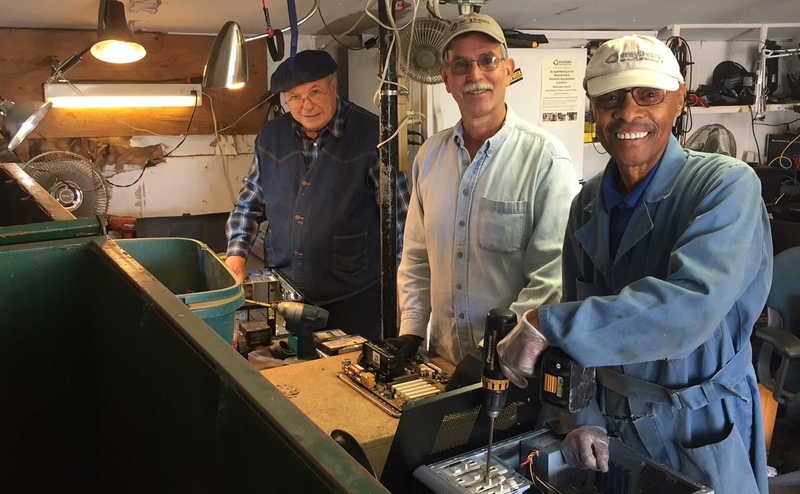 Hours/Location: Chanticleer Recycling Center is open every day, Monday – Sunday from 7:30am-3:30pm at 2710 Chanticleer Ave in Santa Cruz, and Buena Vista Landfill Recycling Center is open Monday – Saturday, 7:30am-3:30pm at 1231 Buena Vista Drive (1 mile south of Highway 1) in Watsonville. 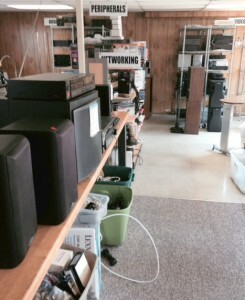 Chanticleer E-waste Center. We accept electronics and appliances including computers, printers, monitors, TVs*, hot water tanks, washers, dryers, refrigerators, microwaves and other household electrical items free of charge seven days a week. We also accept lead-acid and UPS (surge protection, laptop, lithium ion) batteries. *Please note that DLP (Digital Light Processing rear projection) TVs are considered Hazmat and subject to a $30 processing fee. Computer Electronics Store. 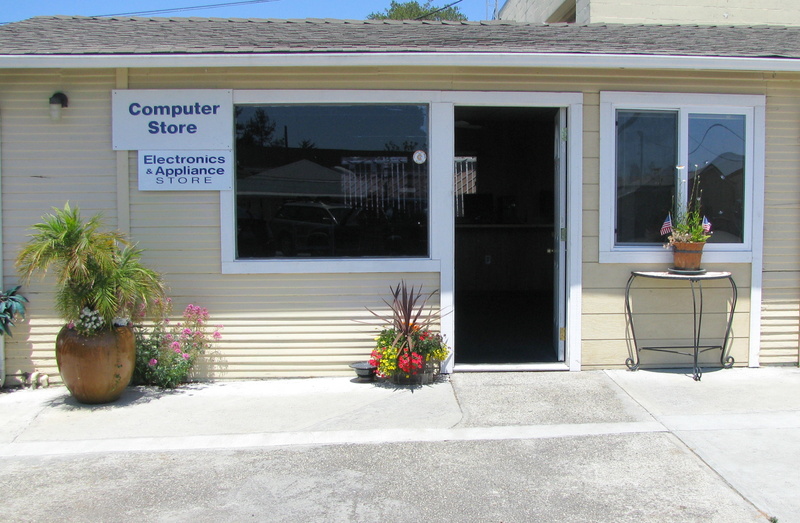 We offer tested and refurbished desktop and laptop computers and components, hard drives, keyboards and monitors to CD ROMs, memory, modems and cables, stereo hi-fi, audio/visual gear including TVs, DVD/VCR players, stereo tuner/amplifiers, speakers, consumer electronics, and appliances including refrigerators, microwave ovens, vacuums and much more. Thrift Store. 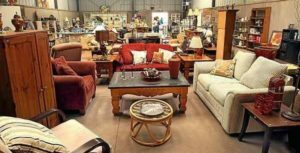 The Grey Bears Thrift Store is run by volunteers who sort through and select donated treasures, antiques, furniture, clothing, books, music, housewares, sporting goods, bikes and much more – all for sale at low prices. Open daily, 10am-3pm. Bookstore. Browse through a huge selection of used books and media, CDs, DVDs, BluRay, books on tape and CD and vinyl. We also make more books available to readers around the country through amazon.com. Composting. Our six Earth Tub Composting Bins turn unused produce from the Brown Bag Program and daily lunches into high-quality compost for your garden, and we sell it dirt cheap.